Thanksgiving (Thanksgiving) is increasingly popular not only in the United States but throughout the Americas and increasingly in many parts of the world. It is an excellent time to visit the USA go shopping, eat turkey and go "holidays to the mountains" and enjoy the colors of autumn like few countries in the world. You can also go to Disney or New York, but here we propose to rent a house in beautiful mountains and places and go to the most popular places for the Americans themselves. As we say, for this, the best thing is to follow what the Americans themselves do: the 10 most popular destinations for vacation homes for Thanksgiving are, in their vast majority, mountain tourist villages, where the panoramic views and nature are the main attractions. Live the autumn. the traditions and the mountain in the country of skyscrapers. These are the 10 most popular holiday destinations for Thanksgiving (sorted by popularity index with the first being the most popular of all). 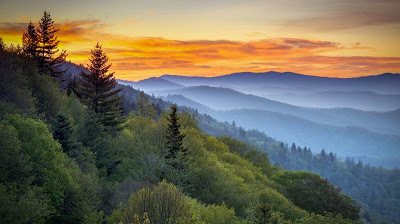 Gatlinburg is a magnificent gateway to the Great Smoky Mountains National Park and a holiday destination frequented by families during all seasons of the year. Although it only has 4,000 residents throughout the year, more than 1300 rental properties (from tiny and warm cabins to family homes to house the whole family) are registered at a rental site such as HomeAway. It would be the most popular and easy option. 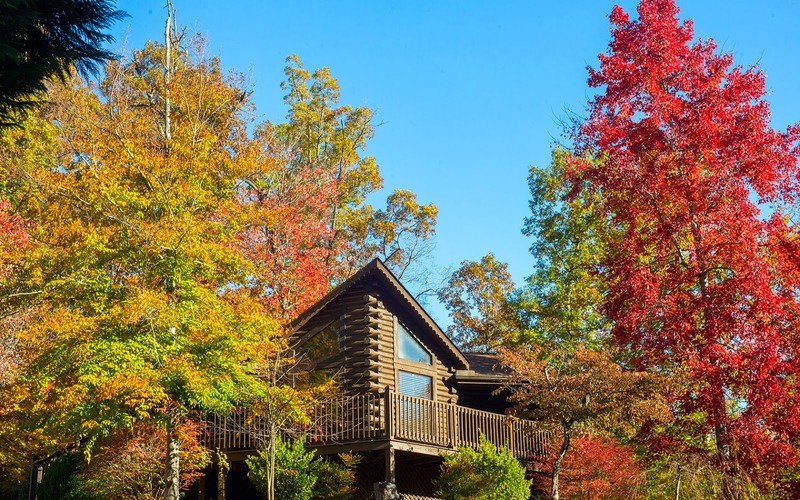 Nearby, located 8 miles from Gatlinburg, Pigeon Forge is another resort located in the "Great Smoky Mountains" and the second destination with more reservations for Thanksgiving holidays. There are more than 1100 houses registered in this area and therefore an offer with many possibilities. (see link at the end). The rugged, scenic beauty of the North Georgia Mountains makes it a popular getaway destination year-round. In autumn, its attractive landscape is unsurpassed. The area covers the northeast corner of the state of Georgia (located about an hour and a half from Atlanta). In total there are more than 1500 homes available for rent registered. To see a specific example of the type of houses you have this link: HomeAway- Northern Mountains Georgia .. 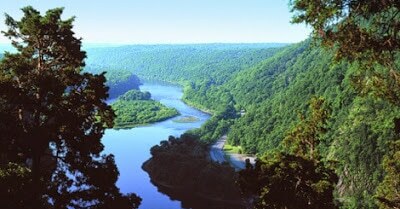 The wooded hills, valleys and lakes of the Pocono Mountains have always been a destination frequented by residents of Philadelphia and New York. The region is especially beautiful in autumn, when the brown colors of the leaves contrast with the blue of the lakes and the sky . Although there is no rural "capital" in the area (so to speak), the two most common destinations in the area are the lakes " Lake Harmony " and " Lake Wallenpaupack ". It is a good destination if you have landed at the airport in New York. What if the children impose themselves? 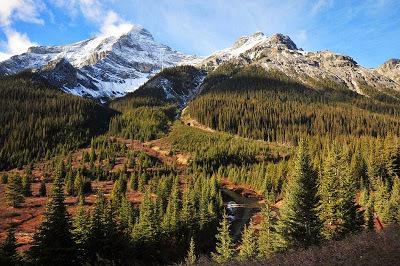 This is the only "non-mountainous" destination that sneaks into the top 10, the most popular destinations on Thanksgiving Day in the United States. 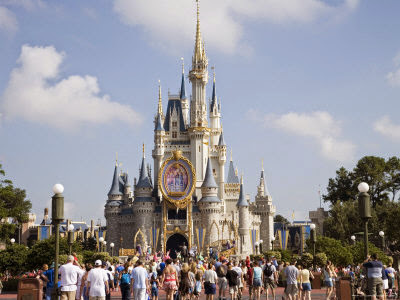 In Orlando, there is " Disney World ", one of the largest amusement parks that exists in the world and with an area for adults where the world is reproduced and you can make purchases in China, Mexico, Japan, Paris .... This makes Orlando the favorite destination for the little ones in the family on Thanksgiving. 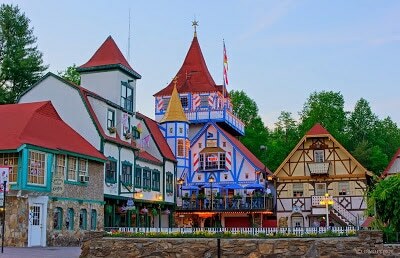 Between the "Great Smoky" mountains and the "Blue Ridge" mountain range, North Carolina offers a wide range of possibilities for families looking for a mountain getaway ( Asheville , Bryson City , Cashiers ...). Ruidoso is the only western destination in the United States especially frequented in Thanksgiving. It consists of a mountainous and cozy town located very close to the moors of Lincoln National Park and the Valley of Fire State Park. With a population of 90,000, Asheville is the largest city in North Carolina. It is also considered the jewel of the South of the United States . Asheville is rented from giant houses as authentic mansions to cozy wooden cabins. Ideal place to get away and disconnect from everything. Blue Ridge has a population of only 1200 inhabitants throughout the year. And it's a favorite place for many families who escape on vacation to the North Georgia Mountains. If even Blue Ridge seems like a bustling place in the mountains of North Georgia, we can also find "Helen". Helen is a town full of charm and with only a population of 400 inhabitantsthroughout the year. Authentic rural mountain environment.